Having been invited by BASIC to give evidence to its Trident Commission, I face a dilemma: On the one hand, as someone who has campaigned for thirty years in favour of the British nuclear deterrent, I am familiar with the hostility consistently shown to Trident by such bodies as the Joseph Rowntree Charitable Trust, the Ploughshares Fund and BASIC itself – whose Commission they are sponsoring. It is highly unlikely that a recommendation for the renewal of Trident could possibly be the result of any examination organised by such groups. I do not doubt their sincerity or integrity, but the intensity of their views on this subject is a matter of public record. On the other hand, a few of the distinguished people sitting on the Commission have previously supported Trident – though it is worrying that the only Commission member from a think-tank campaigning on nuclear issues is the Research Director of BASIC itself. 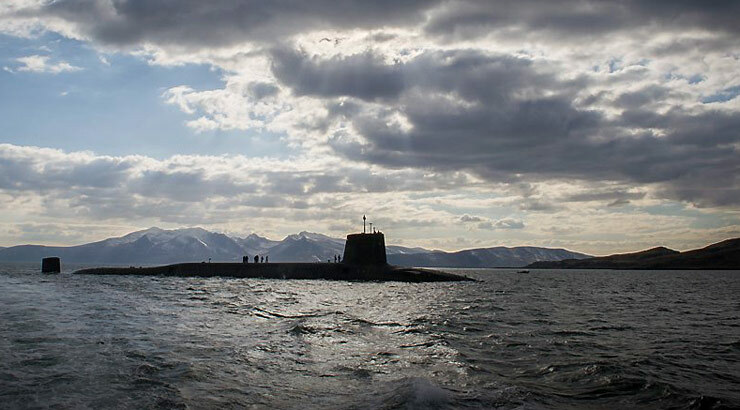 During a discussion about the whole situation with BASIC’s Executive Director, Paul Ingram, I suggested that supporters of the deterrent might feel reassured if a full-time researcher in favour of Trident – such as Dr Lee Willett of RUSI – were also to be appointed. Unfortunately, no such step has yet been taken. There can be only a limited range of outcomes from a Commission constituted in this way. Either opponents of Trident renewal will have their way, with its supporters acquiescing or writing a minority report; or the reverse will occur; or – as has probably been intended from the outset – there will emerge some ‘compromise’ position which accepts that a deterrent should continue for the time being, but (a) it should be something other than Trident, (b) it should be combined with that of another country, or (c) it should no longer operate on the basis of continuous deployment at sea (CASD). However, the issue of how best to protect the United Kingdom from existential threats, at any time between about 2030 and 2055, is far too important to be the subject of fudged solutions designed to bridge a gap between the otherwise irreconcilable views of different members of the Commission. Given such reservations about the provenance and composition of this exercise, one faces the dilemma of whether to legitimise it by making a formal submission, or whether to leave oneself open to the charge of having been invited to contribute material for consideration but having failed to do so. In the absence of a pro-Trident researcher on the Commission to balance the contribution made by BASIC, it is clear that there is no prospect of the Commission recommending that Trident should be renewed and that CASD should be retained. Nevertheless, I have no objection to the Commission considering material previously written by me supporting the maintenance of the United Kingdom Trident force and explaining the continuing need for nuclear deterrence in general. Accordingly, the rest of this paper consists of these two essays, which remain relevant even though published in 2009 and in 2006. Future military threats and conflicts will be no more predictable than those which engulfed us throughout the Twentieth Century. This is the overriding justification for preserving Armed Forces in peacetime as a national insurance policy. No-one knows which enemies might confront us during the next 30–50 years, but it is highly probable that at least some of them will be armed with mass-destruction weapons. It is not the weapons themselves which we have to fear, but the nature of the regimes which possess them. Whereas democracies are generally reluctant to use nuclear weapons against non-nuclear dictatorships (though they did against Japan in 1945), the reverse is not true. Think, for example, of a non-nuclear Britain in 1982 facing an Argentina in possession of a few tactical nuclear bombs and the means of delivering them. The United Kingdom traditionally has played a more important and decisive role in preserving freedom than other medium-sized states have been able or willing to do. Democratic countries without nuclear weapons have little choice but to declare themselves neutral and hope for the best, or to rely upon the nuclear umbrella of powerful allies. The United Kingdom is a nuclear power already and is also much harder to defeat by conventional means because of our physical separation from the Continent. Our prominence as the principal ally of the United States, our strategic geographical position, and the fact that we are obviously the junior partner, might tempt an aggressor to risk attacking us separately. Given the difficulty of overrunning the United Kingdom with conventional forces, in contrast to our more vulnerable allies, an aggressor could be tempted to use one or more mass-destruction weapons against us, on the assumption that the United States would not reply on our behalf. Even if that assumption were false, the attacker would find out his mistake when, and only when, it was too late for all concerned. An independently-controlled British nuclear deterrent massively reduces the prospect of such a fatal miscalculation. No quantity of conventional forces can compensate for the military disadvantage which faces a non-nuclear country in a war against a nuclear-armed enemy. The atomic bombing of Japan is especially instructive – not only because the Emperor was forced to surrender, but also in terms of the reverse scenario: imagine if Japan had developed atomic bombs in the summer of 1945 and the Allies had not. An invasion to end the war would have been out of the question. A large majority of the population consistently takes the view that it is safer for the United Kingdom to retain nuclear weapons whilst other countries have them, than it would be to renounce them unilaterally. In the 1980s, two General Elections demonstrated the toxic effect of one-sided disarmament proposals on a party’s prospects of gaining power. It was, and remains, widely believed (i) that schemes for ‘mutual understanding’ and disarmament after World War I, played into the hands of dictators and helped pave the way for World War II; and (ii) that the nuclear stalemate of the Cold War enabled all-out conflict between the major powers to be avoided for fifty years, despite their mutual hostility and in contrast to those regional theatres where communists and their enemies could – and did – fight without fear of nuclear escalation. The ending of East-West confrontation has not altered the balance of public opinion, because (i) it could easily re-emerge, and (ii) unpleasant regimes are on the point of acquiring nuclear weapons and some may already have done so. Where would this leave the United Kingdom, if it had abandoned its own nuclear force? The answer is, rather like Japan in the summer of 1945. Physically separate from the Continent, the British would be extremely difficult to eliminate conventionally – but they could be blackmailed into surrender by the threatened, or actual, destruction of their cities, either singly or en masse. As for the American nuclear umbrella, would an aggressor which had managed to overrun the Continent be persuaded by a proxy threat of retaliation by the US on behalf of the UK when so much had already been given up without the nuclear button being pressed? Not necessarily. And that would lead to one of two terrible outcomes: either the UK would be attacked by mass-destruction weapons with impunity, or there would indeed be a US nuclear response with horrific consequences for all the belligerents as a result of the aggressor’s miscalculation. An independently-controlled British deterrent would prevent any such attack and would force the aggressor to rely upon conventional military force alone. This choice is unacceptable, and the underlying message – that the era of high-intensity state-on-state warfare is gone for good – is a dangerous fallacy. Every sane individual hopes that such warfare will never return; but to rely on this in the face of past experience would be foolhardy in the extreme. The lesson of warfare in the Twentieth Century, repeated time and again, was that when conflicts broke out they usually took their victims by surprise. Obvious examples are the failure to anticipate World War I, the follies of the ‘Ten-Year Rule’ from 1919 to 1933, and the entirely unanticipated attacks on Israel in 1973, the Falklands in 1982, Kuwait in 1990 and the United States in 2001. Conversely, and on a brighter note, the speed with which the Soviet Empire unravelled from 1989 left even its sternest critics largely nonplussed. So far, Lord Bramall and the late Lord Carver are the only former Chiefs of the Defence Staff to have denounced the British deterrent. The Generals’ letter describes it as ‘virtually irrelevant except in the context of domestic politics’. It is profoundly to be hoped that other ex-Service chiefs will presently combine to articulate the case in favour its military value. In the meantime, though, we must make do with a revealing story from the archives about a previous occasion when the deterrent was being renewed. That shift of policy removed an insuperable barrier to the Labour Party’s electoral credibility. Without it, many of my hon. Friends would not be in this House today, including some who may be contemplating voting against the Government this evening. Do those hon. Friends really believe that our shared objective of world nuclear disarmament can be achieved by unilateral disarmament by Britain? Do they really believe that if we gave up Trident, the eight other nuclear weapons powers would say, ‘Good old Britain! They have done the right thing. We must follow suit.’? Pull the other one! … Defeating the Government tonight … could so reduce our party’s credibility as to contribute to a Labour defeat at the next election … A cartoon in The New Yorker once showed an Army officer in a bunker saying to his assembled troops: ‘Gentlemen, the time has arrived for us to make a futile gesture.’ Futile gestures can be personally satisfying, but what do they get us? I will tell the House what they get us: 18 years in opposition. It is one thing to revisit the scene of the crime; it is quite another to revisit the scene of the suicide. The Times, 16 January 2009. DEFE 32/9: COS 58th Mtg/64 (2)(Confidential Annex)(SSF), 29 September 1964. The full military case for the deterrent, set out in the COS papers, can be examined in ‘Britain’s Need for a Nuclear Deterrent’, (Part II: Historical Study – Deterrence in the Polaris Era), Defence Studies, vol.8, no.3, September 2008, pp.262–285. DEFE 32/9: COS 68th Mtg/64 (3)(Confidential Annex)(SSF), 17 November 1964. Hansard, 14 March 2007, cols.344–345. Turning, fourthly, to the current emergence of non-state terrorist groups, it is absolutely correct that strategic nuclear weapons are of no relevance whatsoever. Neither are aircraft carriers, main battle tanks, guided-missile destroyers or any other heavy-weight military equipment. The presence of a serious terrorist threat is clearly an argument in favour of expanded counter-insurgency forces and security and intelligence services. It is no argument at all for the abolition of those military capabilities which are designed to meet other types of threat which this country has faced in the past and may well face again in the future. Does proliferation make Britain’s continued possession of nuclear weapons unethical? There might be a case for arguing this if it could be shown that there were a causal link between our continued possession of a strategic nuclear deterrent and the decision of one or more identifiable countries to acquire nuclear weapons. During the Cold War era, the proliferation argument was often used by one-sided nuclear disarmers in their campaign against Polaris, Trident and the deployment of cruise missiles. Yet, whenever asked to name a specific nuclear or near-nuclear country which would be likely to abandon its nuclear ambitions if we unilaterally renounced ours, the Campaign for Nuclear Disarmament and its fellow travellers were notably unforthcoming. Countries make the decision whether or not to seek to acquire mass-destruction weapons according to hard-headed calculations of their own strategic interests. A quixotic renunciation by democratic Britain is not very likely to encourage any undemocratic state to follow suit. On the contrary, it is more likely to encourage any such state which views Britain as a potential enemy to redouble its efforts to join the WMD club, given that we would no longer have the means to threaten retaliation against nuclear, biological or chemical aggression.